What Happens When Homebuyers Have Student Loans? Lending expert Dana Zito-Bator joins us today to cover questions you may have regarding the relationship between student loans and mortgages. 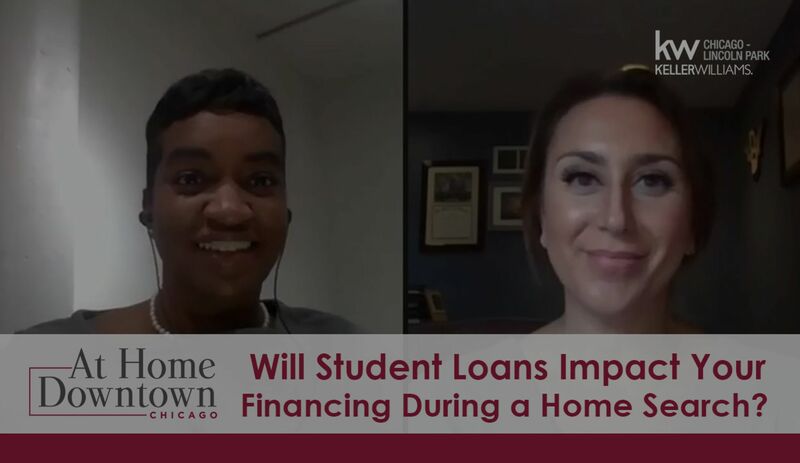 People often ask me about whether student loans will affect their ability to get a mortgage, so I decided to tackle this question during my latest Facebook Live interview. For this interview, I partnered with Dana Zito-Bator—the VP of Mortgage Banking at bemortgage—to get the inside scoop on this critical topic. 3:20 – How does having student loans (of any size) impact a buyer’s mortgage qualifications? 6:15 – How does a mortgage lender view different payment plans? 13:47 – What difference does having government versus private loans make? And how does someone know which they have? 15:24 – What if the borrower has a history of some late payments? How old does the “late” have to be? And how are forbearance, deferment, etc., treated? 18:46 – What impact does a credit pull really have? 23:13 – What smart moves can someone with student loans make if they will be looking to buy a home in the next 12 months or so? If you have any other questions or would like to speak to Dana about your personal situation, feel free to email her at dana@mybemortgage.com. And, as always, if you would like to discuss any of your other real estate needs, please give me a call or send me an email. I look forward to hearing from you soon.